Dual Brow Husk – Ash Blonde, is a 2-in -1 product. The Dual Brow Perfect is known for its angled chiselled wax stick to provide an instant sharp blunt brow shape with the boldest of colour and the gel mascara grooms brow hair in place. 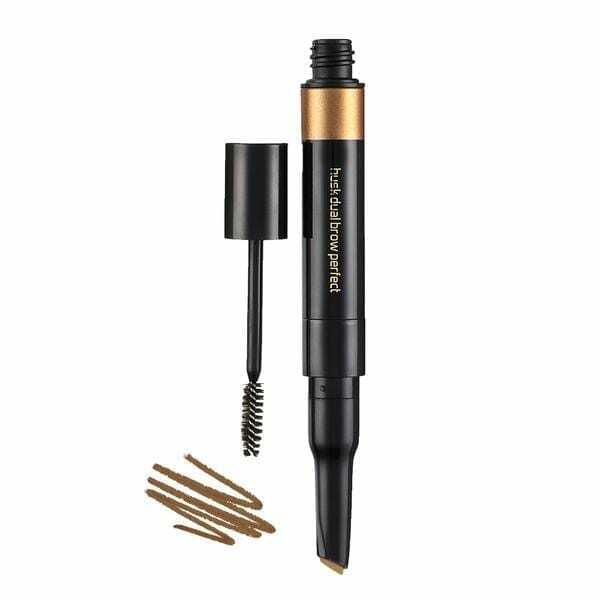 Mechanical twist up thickened wax stick never needs sharpening, creating an even, full brow coverage. Once applied, the wax-based formula of Candelilla and Coconut Oil dries and will stay put all day. Dual Brow Perfect Husk is smudge-proof, long wearing and is easy to use.